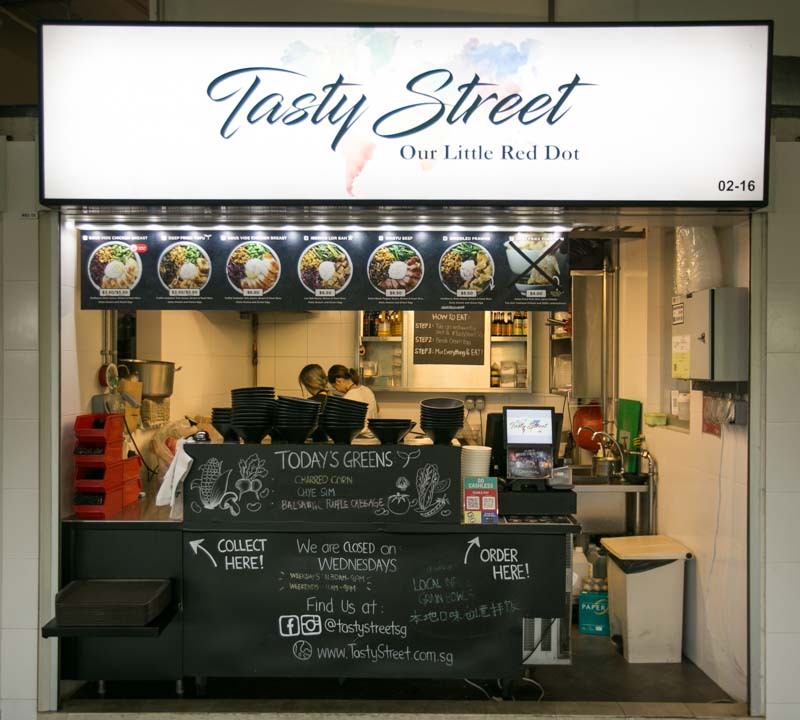 Boasting their motto: “premium eats at affordable prices”, Tasty Street (located in the hipster Pasir Ris Central Hawker Centre) delivers their promise. There’s an Asian influence to all their grain bowls, which are served with the same base — a mix of brown and Japanese pearl rice. Each bowl comes with a wobbly onsen egg and three different greens (which vary on a daily basis). The vegetables on the day of the tasting were charred corns, balsamic purple cabbage and stir-fried chye sim. $6.50 for the Wagyu Beef Bowl? To be honest, we weren’t expecting much, but the first bite expelled any doubt we had. The slices of Australian wagyu beef are sous vide for 72 hours. Asian black pepper sauce is then drizzled on the slices of beef before it is served. Though it may not be comparable to the premium grade wagyu beef you would expect from higher-end restaurants, the meat was tender and decent enough to make the cut for a hawker stall. Next up, we had the Iberico Lor Bah Bowl ($6.50), which turned out to be our favourite of the lot. The Spanish Iberico pork is braised for 48 hours in a Chinese braising sauce and it hits close to home, reminding me of my grandmother’s braised pork. We loved how the melt-in-your-mouth texture of the pork belly was balanced by a fair amount of lean meat, preventing it from being too jelak. It was recommended that we mixed everything in this bowl — which turned out pleasantly well. The sweetness of the charred corn and tanginess of the balsamic purple cabbage complemented the Iberico lor bah without overpowering it. The Griddled Prawn Bowl ($6.50) featured seared black tiger prawns drizzled with wolfberry wine sauce. We liked how the prawns were deshelled, saving us the hassle of having to peel them ourselves. However, compared to the previous two bowls, we felt that this was a slight letdown. The prawns were a little too overcooked and were a tad mushy to the bite. As for the gravy, the wolfberry wine sauce did not particularly stand out to us. Finally, we had the Vegetarian-friendly Deep Fried Tofu Bowl ($5.50). The tofu squares were fried with shiitake mushroom and truffle hotplate tofu sauce. As promised, there was a light hint of the truffle in the sauce. The description of the dish led us into thinking that it would taste somewhat similar to the hotplate tofu we were used to having at zi char stalls. However, instead of tofu, the soft white cubes turned out to have a texture closer to that of tau kwa. Other than the hint of truffle oil in the sauce, it tasted pretty ordinary — like those found in your regular cai png stall. Rice bowl shops like these are now a dime a dozen, and we feel that there’s plenty of room for improvement for this one. 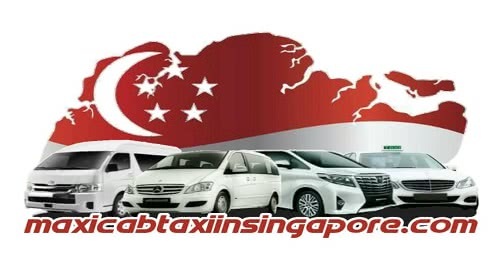 However, for its affordable price, we still think it is worth giving Tasty Street a try.